Update - Please check out these announcements by clicking here! Welcome to Cabana Club Condominiums website! Cabana Club is located in beautiful Birch Bay, WA. We are located at 7530 Birch Bay Dr, Birch Bay, WA 98230. Birch Bay is one of those wonderful hidden vacation spots in Washington's Pacific Northwest! 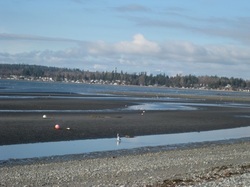 Birch Bay is a quaint beach community along the Pacific Ocean. The Canadian border is 20 minutes north with beautiful Vancouver, BC to explore. There are many summer (fishing, clamming, biking, boating, hiking, kite flying, birdwatching, kayaking, waterslides) and winter activities (sledding, skiing, snowboarding) nearby for a family to enjoy. The Cabana Club is a condominium complex featuring 20 units. Thirteen units are timeshare units, while six units are fully-owned. Our complex is right across the street from the beautiful bay! Our one, two, and three bedroom units (2 bedroom with loft) include everything needed for a pleasant, carefree stay: Comfortable beds and furnishings, fully-equipped kitchens with microwaves and dishwashers, fireplaces, a patio or deck with gas barbeque, cable television with DVD player, free wi-fi, showers and tubs, irons and ironing boards, hairdryers, and towels and linens. Cabana Club has a beautiful swimming pool open from Memorial Day to Labor Day. There is an indoor hot tub open year round. There is a clubhouse on-site providing ping-pong fun and puzzles to complete on a cozy, winter night. We hope you will come visit soon!